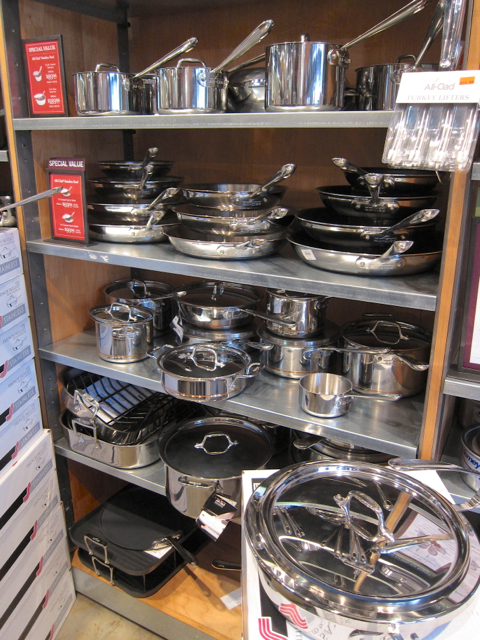 If you are a picky cook you are going to figure out that there’s not one line of pots that is best for everything. Thick pans and thick bottomed pans distribute heat and there are no hot spots where food will burn but they are heavy and aren’t easy to work with for making some things like scrambled eggs and crepes. In the past copper was the pots and pans of choice both for cooking and because they are beautiful. But they are expensive and high maintenance and with the other great choices we have today, we don’t have to go without these lovely pans and lose out on quality cookware. Copper heats up and cools quickly which is a convenience. 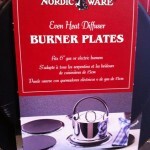 It is also an excellent conductor of heat and heats very evenly. But copper is difficult to clean and they cam scratch and tarnish and they are a potential health problem. If a scratch in the tin or stainless steel lining is deep enough to reach the copper, the pot has to be relined. Acid foods like tomato sauce contacting copper will make you sick. This one thing alone says it makes sense to just get a copper bowl for whipping egg whites, and buy something else for the rest of your cooking. Unlike most other light weight pans that warp Scanpans from Denmark are light weight pans that don’t, which means the bottom stays flat on the heat source. They are also nonstick pans that don’t have the toxic lining. There is a good warranty if you don’t overheat them or damage them with something sharp. 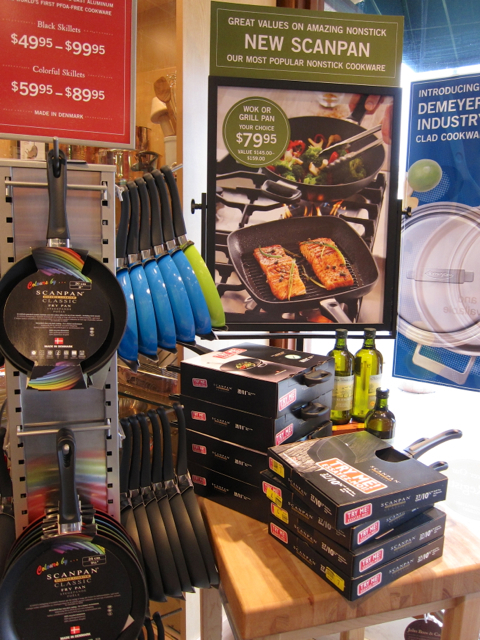 French Le Creuset is enamel covered cast iron that conducts heat evenly. It can chip and scratch but it’s not easy to do if you don’t abuse it. They last a very long time. 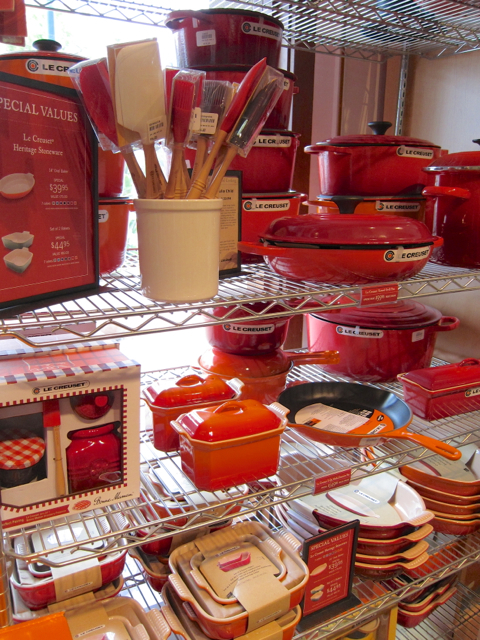 The stores that sell Le Creuset have the products to clean it and keep the white interior pretty. There are two types of ceramic cookware. There’s a metal with ceramic coating which isn’t anything special. Then theres one that looks like clay pottery. 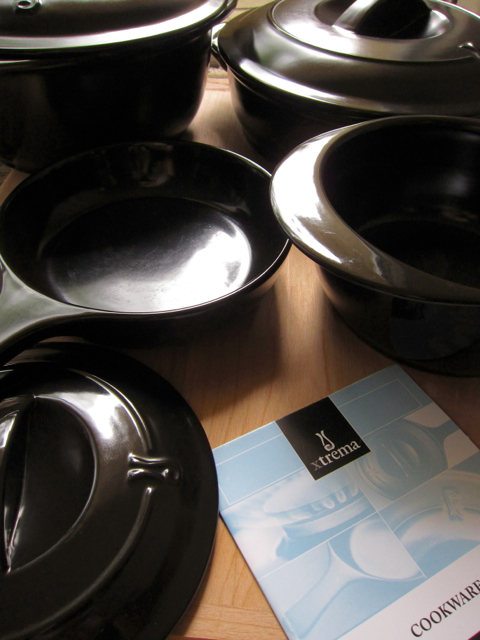 Xtrema Ceramic cookware (www.mercola.com) is black and very attractive on the table. It has a 50 year warranty (unless you drop it) and is very low maintenance. It doesn’t flake, chip or scratch and it enhances the flavor of food. It’s very good for storing food in the refrigerator and has a nano surface that cleans easy and it can be put in the dishwasher. Ceramic cookware is not metal so it takes longer to heat but it can handle sudden extreme temperatures (withstands temperatures of 2700 degrees F) so you can take it form the freezer and put it on the barbecue. Cast iron lasts for generations. My mom says back in the days they people knew cooling in cast iron was putting healthy iron in their food. She also says if you drop it, you’ll break your toe but not the pan. Because they last so long, they have memories and you can find them in antique shops. If you find one with a lid with points on it, these are for self-basting meat. The juices collect on the lid and drip down and off the end of the points back on to the meat. Cast iron is more trouble to clean but it’s worth it. 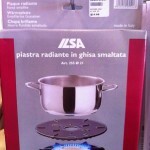 Use very hot water and dry. Then using a paper towel wipe the inside with a thin layer of olive oil and set in a warm oven to completely dry. As you do this you will be continually increasing the layers of seasoning and its non-stick quality. Don’t use soap when cleaning or you’ll remove the seasoning. Only use soap when it rusts (an SOS or Brillo pad) and then re-season it. Also cooking fish will leave a flavor in the seasoning requiring a cleaning and re-seasoning. 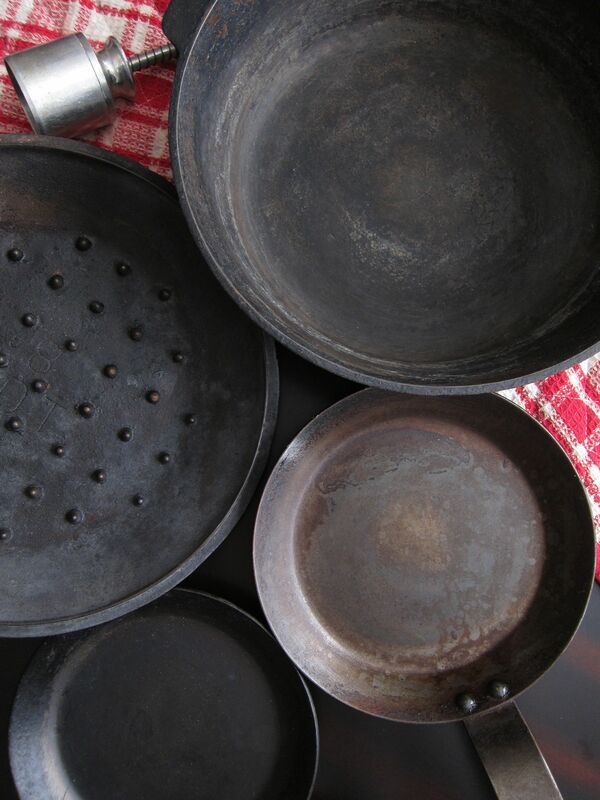 To season a pan, rinse it with hot water (no soap) and dry completely. Coat the entire piece of cookware inside and out with vegetable oil. Cook it in a 450-500 degree oven until it quits smoking (about 15 minutes). Take it out, pour out any excess oil and put it back in the oven upside-down on a piece of foil. Lower the oven temperature to 250 and cook it for two more hours. After it cools, test it by touching it. If it’s smooth, it’s ready. If it’s sticky, it didn’t get hot enough. Scrape off any gummy places and start over. Thick bottomed stainless steel stock pots for boiling water for potatoes, pasta and for making stock. Stainless steel sauce pans for boiling water for smaller amounts of pasta, rice*, and double boilers for steaming vegetables and making hollandaise sauce (a stainless steel bowl over hot water works well). Stainless Steel sauté pans with a copper core that will conduct the heat well are good for searing meats, cooking hamburgers and steaks. Large ceramic pots for thick stews, chili and spaghetti sauce and smaller ones for oatmeal and melting butter and chocolate. 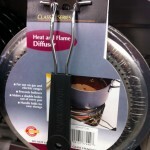 Ceramic brasiers or skillets for frying or poaching meat (turkey burgers stay moist and brown nicely), reheating food**. Skillets like Scanpans for frying bread and nut crusted chicken, sautéing vegetables (works like a wok), toasting nuts, making crepes, scrambled eggs and omelets. Cast iron double sided griddle for pancakes and bacon. 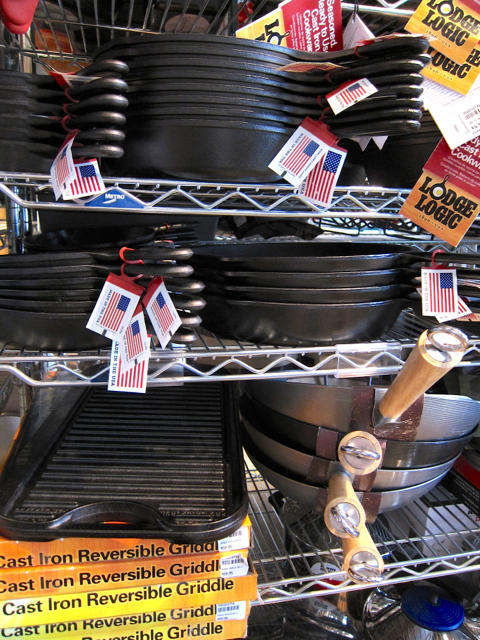 Cast iron skillet for candy making, roasting, southern food (frying chicken, baked beans and corn bread), camping, wood burning stoves and barbecues. *Rice comes out very different in different pots. Keep an eye on brown rice. Stop the cooking when the water is all absorbed and don’t let it brown on the bottom. A flame defuser will help prevent this. **Many studies have shown that heating food in a microwave destroys its nutrition along with other possible health problems related to the waves. Using a ceramic skillet is a great way to reheat food with an easy clean up. Just put a little oil or water on the bottom and put the lid on and set then temperature on low.